The ASPIRE Masterclass welcomes the submission of abstracts. Please note that the abstract submission is now closed. I would like to welcome you to the first ASPIRE Masterclass on PCOS to be held in Hanoi, Vietnam. PCOS is the commonest endocrine condition of women and increasingly it is being recognised that it has longterm health effects and may also have implications for family members such as parents and brothers. There has been an explosion of knowledge about the genetics of the condition, and also the metabolic sequeale and their appropriate management. Good randomised trials have appeared regarding the optimal use of oral medications and new IVF techniques are revolutionising the reduction of ovarian hyper stimulation syndrome. It is increasingly being recognised that we need evidence to develop appropriate therapies and, as part of this, it has been recognised that many patients have emotional struggles as well as the cosmetic and weight issues that follow many patients with PCOS. In planning this meeting we have some of the best experts in the area who will discuss their latest findings with you, will be available for case and personal discussions, and because of the deliberate low attendance at the meeting, you will have ample opportunity to get to know the speakers and interface with them. 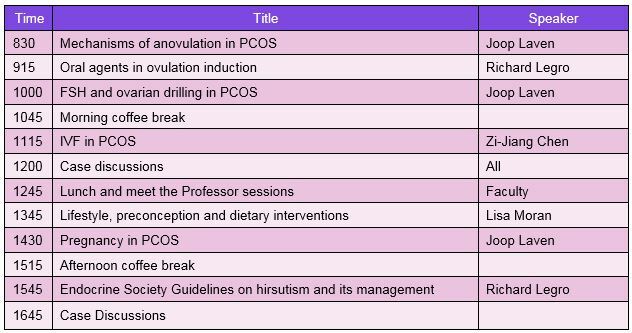 We are restricting it to only 80 participants and, with an outstanding faculty representing the region, Europe and the United States, we should be able to tackle many of the major problems of PCOS that you encounter in your clinical practice. The local host, the Vietnamese Association of Gynecology and Obstetrics (VAGO, President Nguyen Viet Tien) and ASPIRE (President Chii-Ruey Tzeng) welcome you to come to this wonderful city with its French architecture and good weather, and at the same time learn about a compelling condition that is going to become increasingly important. Dr. Richard S. Legro is Professor and Vice Chair of Research in the Department of Obstetrics and Gynecology at Penn State University College of Medicine in Hershey, PA and Co-Director of the Clinical Services Core at the Penn State Clinical and Translational Science Institute. His research and clinical practice are primarily focused on polycystic ovary syndrome (PCOS)- diagnosis, treatment, and genetic/environmental causes as well as on improving infertility diagnosis and treatment. He has led multiple multi-center trials, has been the principal investigator on a number of National Institutes of Health (NIH) grants and published over 200 peer -reviewed articles in medical journals and multiple books in the field of reproductive endocrinology. He is Secretary-Treasurer of the Endocrine Society. He is an Associate Editor for Fertility and Sterility and the Co- Editor in Chief of Seminars in Reproductive Medicine. Professor Joop S.E. Laven is professor in Obstetrics and Gynaecology and is based in Erasmus medical centre in Rotterdam the Netherlands. For many years he had a particular interest in the management of PCOS covering the full spectrum of the syndrome. During the last decade his research focussed on the effects of PCOS on quality of life and long-term health risks as well as the genetic basis of the disease. 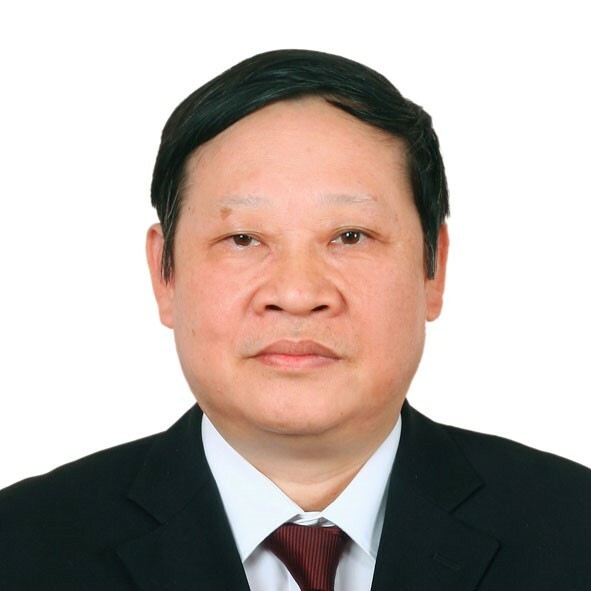 Dr.Zi-Jiang Chen is the Professor of OB/GYN and Reproduction, Dean of Cheeloo College of Medicine, Vice President of Shandong University, China. 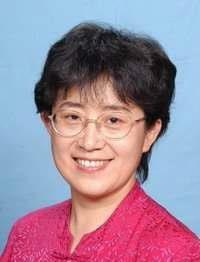 She is a pioneer in applying the assisted reproductive technology (ART) and pre-implantation genetic diagnosis (PGD) and also chaired and completed the first multi-center Randomized Controlled Trials (RCT) in area of reproductive health in China. Dr. Chen has made a breakthrough in illuminating the genetic etiology of polycystic ovarian syndrome (PCOS) and Premature Ovarian Failure (POF), providing evidence for clinical classification, prediction and prevention. She has published more than 200 papers in peer-reviewed journals, including New England Journal of Medicine, Nature Genetics, ProcNatlAcadSci, Nature Communications, American Journal of Human Genetics, Human Reproduction Update. Professor Robert Norman is Professor of Reproductive and Periconceptual Medicine at the Robinson Research Institute, University of Adelaide. He was the Founding Director of the Robinson Research Institute, which focuses on the early stages of life to improve the health and well being of children and families and comprises approximately 400 researchers. Professor Norman is a clinician scientist who has sub-specialised in reproductive medicine and endocrinology and is particularly interested in events around the time of conception. His expertise is in assisted reproduction, infertility management and polycystic ovary syndrome, a condition which is very commonly found in women across the reproductive and post-reproductive lifespan. He is past President of ASPIRE and remains active on the Board. Associate Professor Lisa Moran is the Head of the Healthy Lifestyle Research Program at the Monash Centre of Health Research Implementation, Monash University, Australia. She is an Accredited Practising Dietitian and works clinically in the management of women preconception and during pregnancy including women with polycystic ovary syndrome or women undergoing assisted reproductive technology. She has clinical research experience in dietary, lifestyle and weight management interventions in women with polycystic ovary syndrome and evidence-based medicine experience in Cochrane reviews, systematic reviews and evidence-based guidelines in PCOS.